The key to enjoying gambling whilst being responsible is having the ability to manage your time and money. This ensures you do not end up using more of either than you can really afford. If you intend to bet on a fairly regularly basis, then it is important to work out a budget based on the disposable income that you can afford to play with. In this way it is no different than budgeting for travel or any other form of entertainment. The difference is that gambling has a higher level of excitement that can sometimes get one carried away. If that might apply to you, it is a good idea to put the money you budget for gambling into a separate account in order to prevent yourself from accidentally overspending in the heat of the moment. If that account is emptied, you just stop until the next time you regularly place money in that account. Having a limited amount of money to use will also prevent you from falling into common traps, such as chasing losses. This is essentially trying to win back money that you have previously lost, which is a highly unsuccessful strategy that can turn gambling from a fun activity into a financial disaster. While most people focus on the money spent on gambling, there is something else you can spend a lot of on gambling. That’s time. Just as you should manage the money you spend while gambling, you should also manage your gambling time. So, don’t stop at setting limits on how much money you spend gambling, also set limits on the amount of time you are allowed to spend gambling each week. That way you don’t let the time you spend gambling negatively impact other areas of your life. 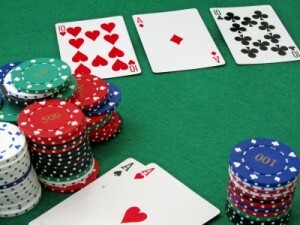 If you don’t set these limits in place early, it can be all too easy to be drawn in by the excitement of playing on sites like http://luckynuggetcasino.com, which could result in you finding yourself spending more and more of your free time playing. It is imperative to keep your time spent playing on online casinos at the level of a fun leisure time activity and not an addiction. While many people say “It won’t not happen to me,” it is still essential to be strict with your time and money management to guarantee that you are correct in that statement. That way gambling can be a fun activity that doesn’t sap your time and financial strength, but rather excites you and entertains you. Very good to do if you enjoy gambling.